For the parent who skis, there are few things more liberating than having your youngest child – just 6 years old – get comfortable enough on skis to finally get off the darn bunny hill. We’ve been skiing as a family quite often in recent years. Some of the adventures were blogworthy. One was even publishable. Yet, for all that time, we’ve always been tethered to the bunny hill by at least one of the kids – a fact that can put a real damper on a family day on the slopes. It was mostly our fault. Scratch that. It was entirely our fault. We only went skiing a few times a year since our youngest was born, and we often went to places where the leap from the bunny to the big hill was too much for a novice, pre-school skier to handle. I’d always look wistfully at parents who could take all their kids up the mountain together and think, someday that will be us. A few years back, our oldest daughter joined us on the big hill -- as did our second oldest two years ago, quite famously. Our third daughter made the jump at age 7, at the tail end of last season. As we entered this winter’s ski season, our hope was to get the boy up the chairlift and onto the big hill. It seemed quite the goal. On previous trips, he’d earned himself the nickname jelly legs, because he appeared to enjoy falling, and was perfectly content to snowplow through his lesson and then drink hot cocoa will the rest of us tag-teamed babysitting duties between runs. Yes. We had to get him off the bunny hill. For our own skiing sanity. And, just one day into our ski season, it happened. Something clicked with the boy. He’s no longer called jelly legs. Now I just call him the blur. It might well have been the most horrifying day I’ve ever spent on a mountain. Before we get too worked up, please know that everyone is fine. Nobody got hurt, other than typical falls and one strawberry on my eldest daughter’s chin from her wandering too far into the terrain park. That worked out as a good thing, since she got to tell friends nonchalantly that she got injured on a jump in the terrain park, letting them fill in the gaps imagining her doing a backscratcher or 360 or some other oddly-named heroics. Maybe it was more like a face plant – but I’ll never say anything. The important thing is that we all walked away from our day skiing. But, for a spell, I wasn’t so sure. of a mountain. For the record, the sun was in our eyes. The first indication of trouble occurred when I was filling out the boy’s paperwork for his lesson. We decided that day to go to Labrador Mountain, one of four ski hills within 30 minutes of our house. We chose Lab because of a good day there at the end of last season, with our older kids and their friends all enjoying free reign of the park’s manageable blues, and even testing their abilities on a few black diamonds. 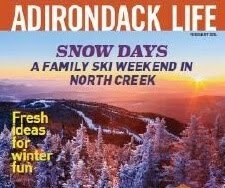 Like most hills near us, Lab offers a decent lesson package for younger kids, with a combined two hour lesson and lift ticket for less than the price many hills charge for the lift ticket alone. I should have known from the moment I filled out the paperwork for the lesson that he was going to push the envelope that day. He stood next to me as I read the form’s questions out loud. Name? … He answered the question as I wrote. 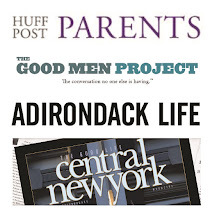 Parent’s Cell Phone? … He stared blankly as I filled it in. Number to call in case of an emergency? … “9-1-1” he replied. He shrugged. Let’s hope no one has to call 9-1-1 today, I thought. With the form was complete and him registered for the next lesson, we had some time to kill. So we went out to warm up on the bunny hill. After about two minutes, it became painfully obvious to me and the guy running the tow rope up the slight incline of a beginner hill that my boy was ready for more of a challenge. 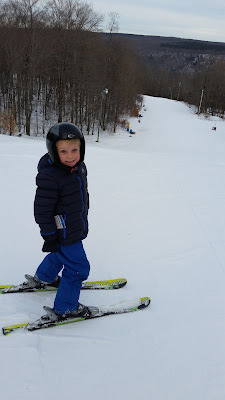 Even before the lesson, my wife – who had taken a few runs with the girls already -- decided he was ready, and bravely took him up the lift herself. I didn’t agree. But who am I to stand in the way of progress. Not that I was vindicated or anything, but they struggled mightily to make it back down the mountain. She said he fell more than thirty times. They almost missed the damn lesson. Luckily, they didn’t. I, for one, was glad he was back in the hands of professionals. And, as lessons always do, his time in ski school gave me and my wife a chance to actually ski together. As we tackled the more challenging trials with the girls, the boy’s instructor decided, too, that he was ready to go up the lift. With that, the cork was popped. He was officially off the little hill. After the lesson, he never looked back – not even to see me trying to catch him. As the day wore on, our whole family went up and down the mountain many times. And I began to envy the moms and dads who had kids stuck on the bunny hill. Because, despite our son’s willingness and ability to handle the harder parts of the hill, he still had a problem with control. And with speed. And with stopping. He’s pretty much like that old cartoon of the Tasmanian Devil, except on skis – a whirling dervish of down jacket and snow. His only way to slow down is to crash. And every time he speeds down the mountain, over a bend and out of sight, we know we’ll find him in a heap, bouncing up as we near to gather his skis and go some more. It’s a bit much for a worrisome dad to take. Let's just say that I’m a much more reserved skier than my son. At one point, I even told my wife I had to take a break because my nerves couldn’t handle watching him barreling down the hill like a pint-sized, out-of-control snow plow. But then, the most harrowing thing I saw involved another child of mine. The girls can never let the baby of the family have all the attention. In a mental lapse brought on by a day of exertion, I decided to take my daughters down one particularly steep black diamond – one they both swore they’d been down the year before. They were mistaken. As was I. About a third of the way down, the incline became too much for them to handle, so much so that our 8 year-old gave up on the notion of turns and slowing down altogether. She shot down the hill dangerously fast, passing expert slalom skiers and the local downhill team in training. She didn’t. She went even faster. I looked away. I actually averted my eyes. Then I consciously decided that wasn’t the responsible thing to do. So a trained my eyes on the disappearing dot that was my daughter. To say I was terrified would be an understatement. I was sure it was going to end poorly. Her life actually flashed before my eyes. Within seconds – which felt like years – she was at the bottom of the hill. I was sure she was going to shoot out across the parking lot and into the hills in the distance. But she didn’t. She slowed. She regained control. And then she stopped. I’ve never been so delighted to so a child of mine not in motion. When my other daughter and I finally made it to the bottom of the hill, I hugged her and asked her how it felt to go that fast. She said, "It was terrifying." Needless to say, between the boy and his sister, by the end of our day skiing, I was ready for a glass of wine. And a therapist. In hindsight, it was a perfect day on the mountain. The boy made it off the bunny hill. Which means freedom. Then again, the boy made it off the bunny hill. And that might just be more than I can take. I can imagine the stress, but it makes for funny reading. Enjoy the new found freedom. Thanks, Larry. It will be nice to explore mountains (ski hills, really) as a family. Despite the anxiety it may cause. Haha.